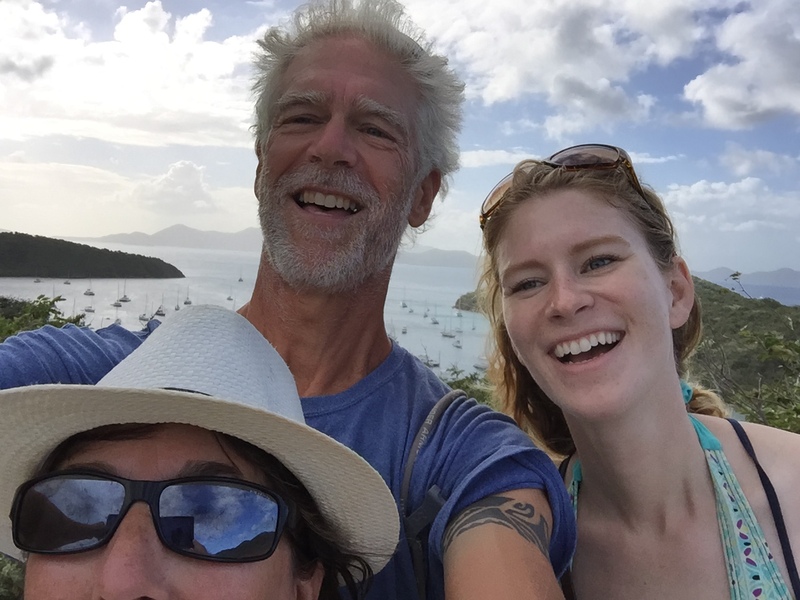 We left St Maarten rather quickly, before Mardi Gras, because we discovered that Bill’s flight out from St Thomas left two days earlier than what we had remembered. Good thing he double-checked! 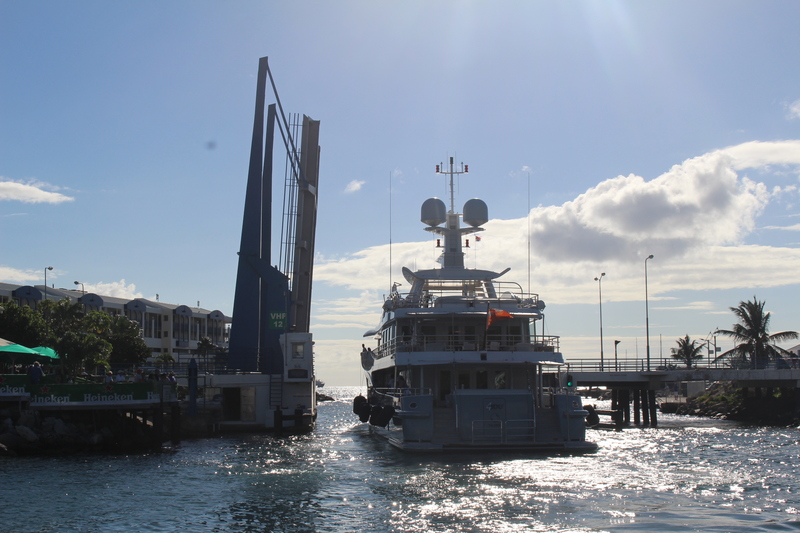 We exited the lagoon at the last scheduled afternoon opening of the bridge. (You can arrange an unscheduled opening, for $1,000.) We anchored outside and went ashore for dinner, and got underway just as it got dark. 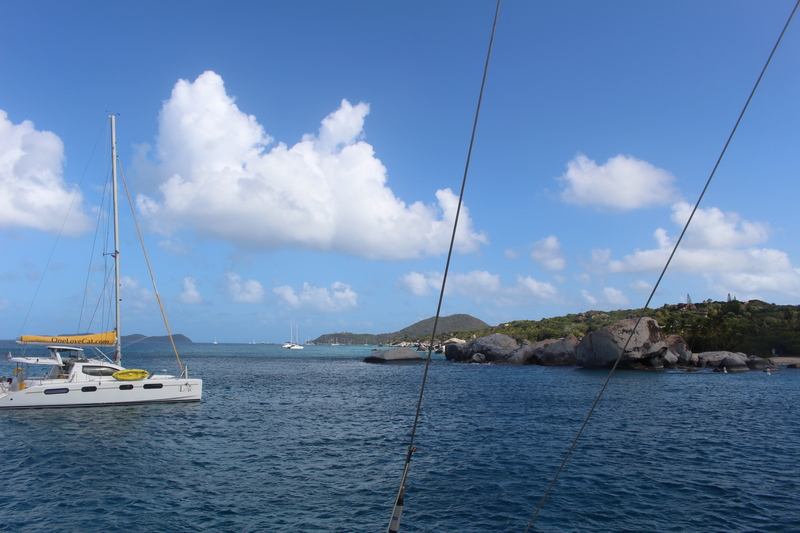 At daylight we were approaching Virgin Gorda (British Virgin Islands). We cleared in near Leverick Bay and then crossed Gorda Sound to the Bitter End marina/resort. Expensive, but very nice. Hot showers @ $4 for five minutes. Delicious “painkiller” drinks. 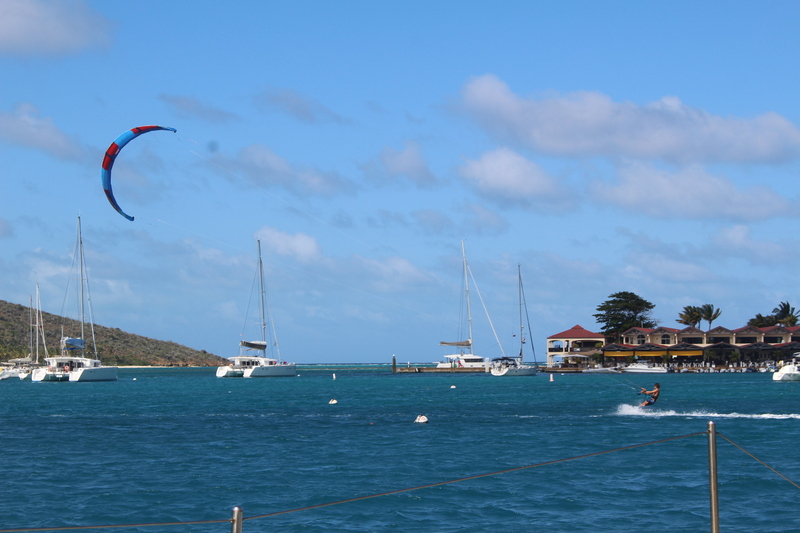 Kite boarders showing off their amazing stuff nearby. Bill had one more full day aboard, so he got to choose what was next. 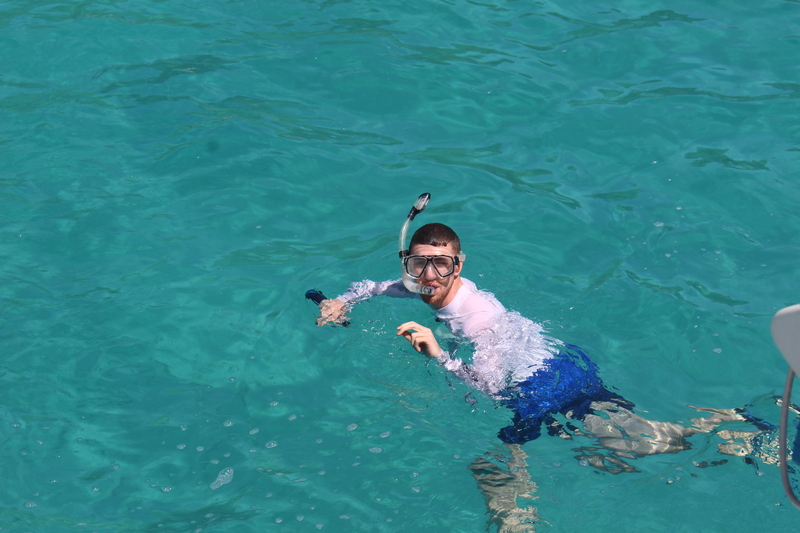 We sailed to Monkey Point for some good snorkeling, and then moored in Trellis Bay, where he could arrange a morning taxi to his ferry. Farewell to Bill. I’m glad that it worked out for him to sail with one of his daughters in the Caribbean. That was one of his dreams/goals at the outset of this adventure. 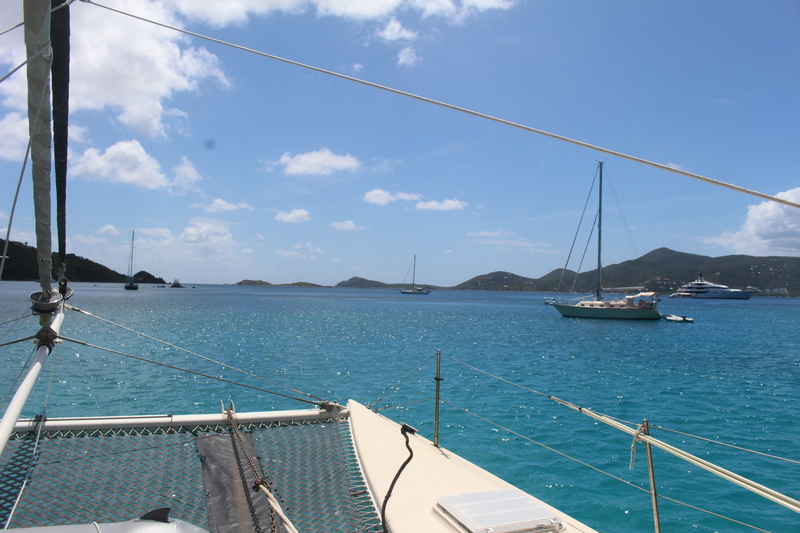 Then off to the US Virgin Islands. 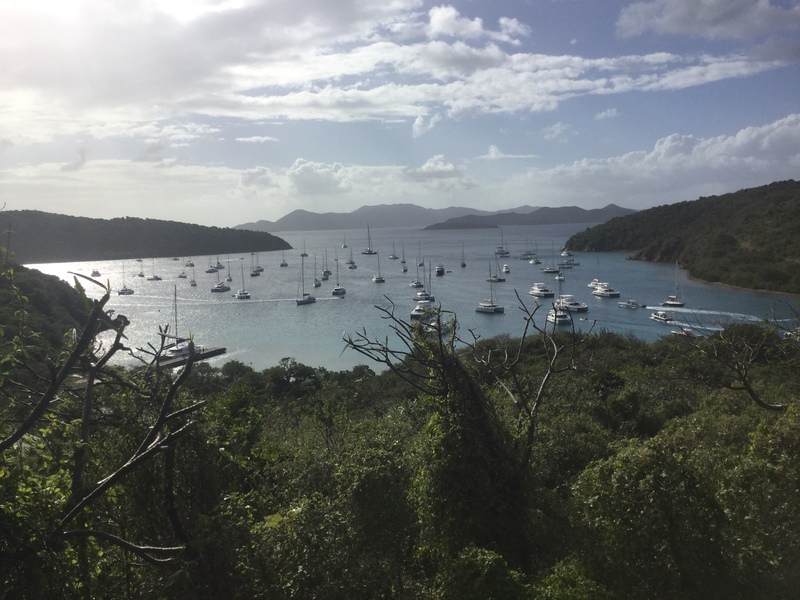 We cleared in at Cruz Bay on St John, and then motored around to Lameshure Bay on the south side of the island, to find shelter from the extremely strong NE winds. 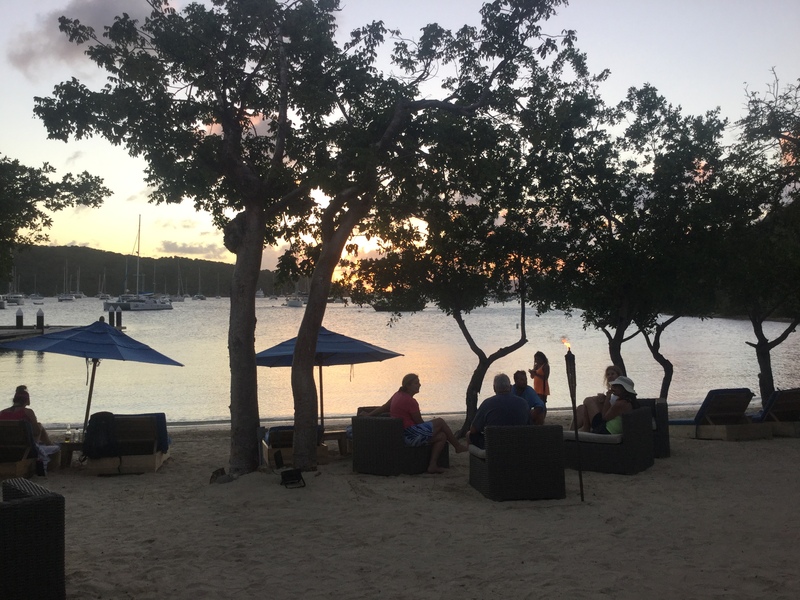 Luckily someone in Cruz Bay told me about the senior pass for US national parks, which includes a 50% discount on moorings in national parks, which includes most of St John. 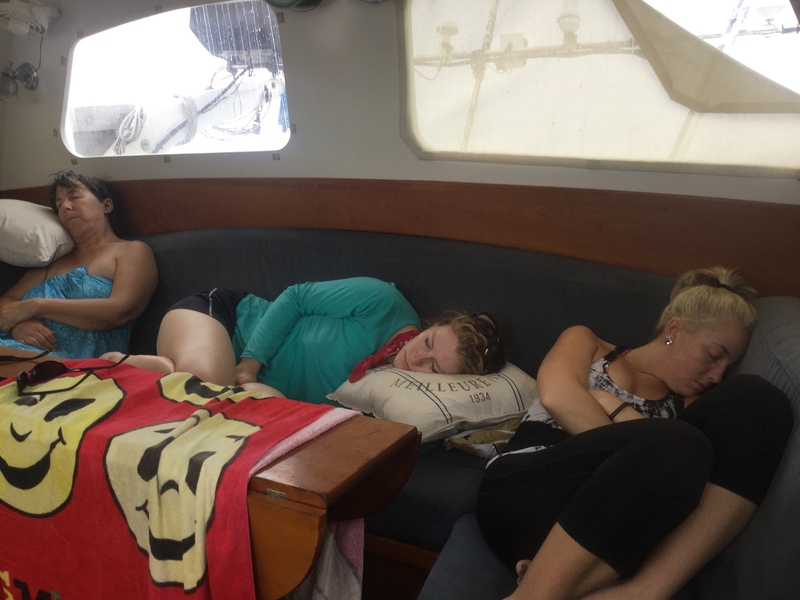 We motored into serious wind and waves, but only for an hour or so, to Coral Bay, where we found a nice anchorage. 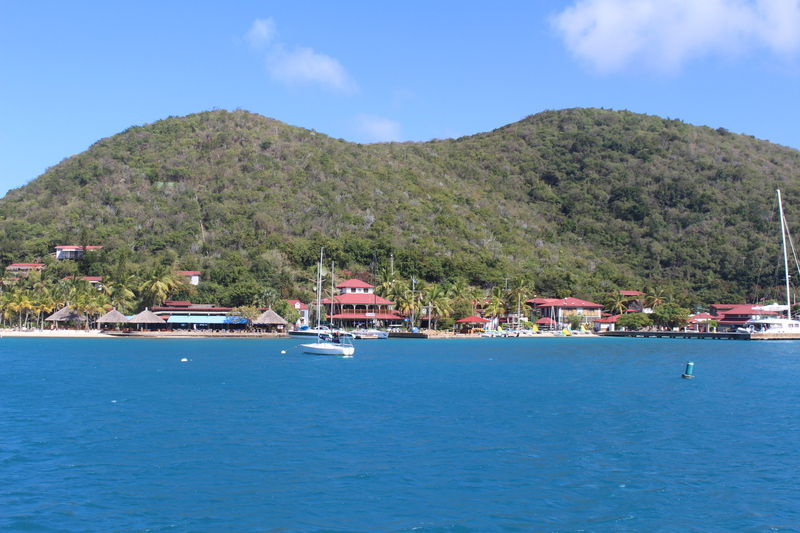 Then to Charlotte Amalie on St Thomas, where J&C could easily get to the airport. 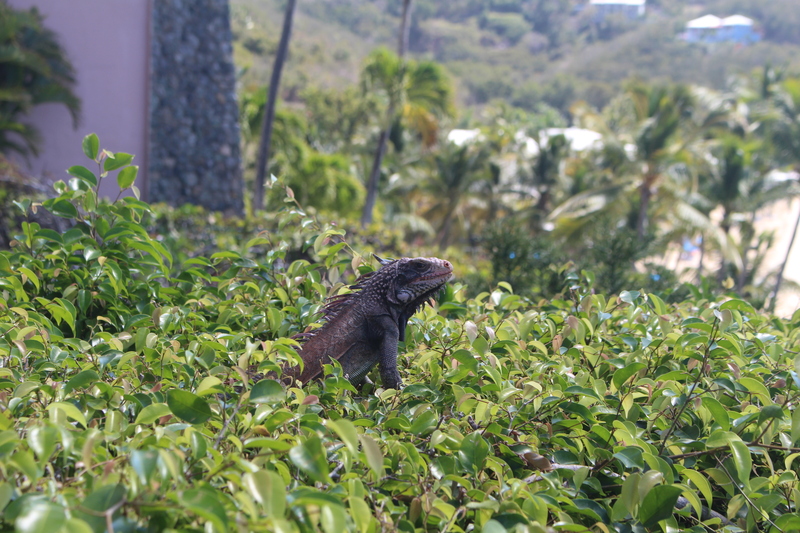 Their Caribbean experience was unfortunate, in that the wind was howling during their entire visit. I think they still had a good time, but it wasn’t the relaxed and pleasant paradise that gets advertised! Steve, my good friend and new crew, flew in with his wife Donna, and they stayed a few days in a fancy hotel. Hallie and Donna flew home on the same flight. After they were in their taxi to the airport, Nora and I went to Steve’s vacated room and took luxurious long hot showers! 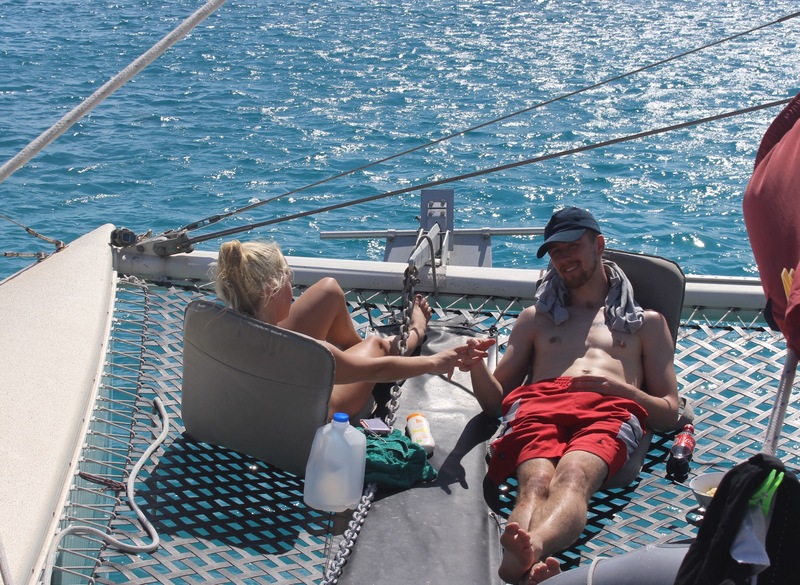 With Hallie gone, I felt like our month of “charter operation” in the Caribbean was over, and Nora, Steve and I could focus on sailing on again. First a big provisioning run, and diesel and water, and we were ready. But we wanted to rendezvous with Tahawus, as they had just arrived in St Croix. 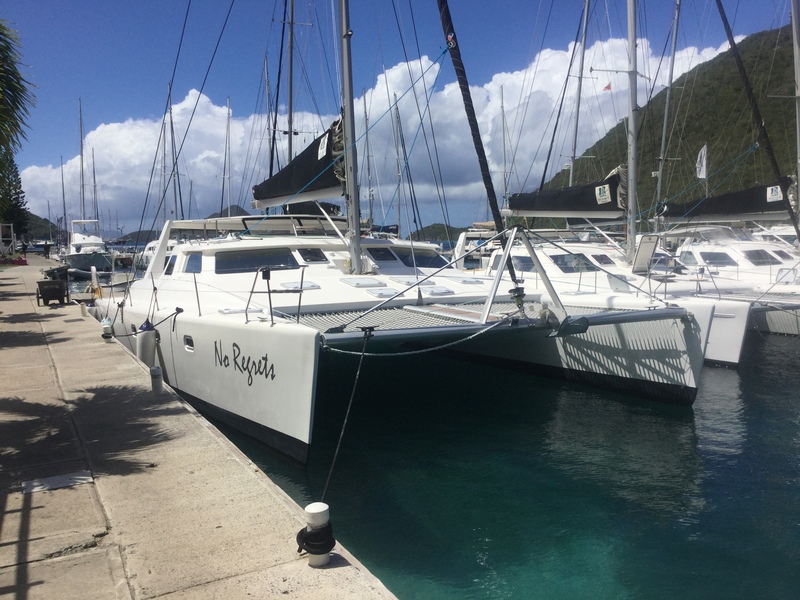 I had planned to sail to St Croix, as I haven’t been there, but Norm/Klaudia were planning to move on to St John. 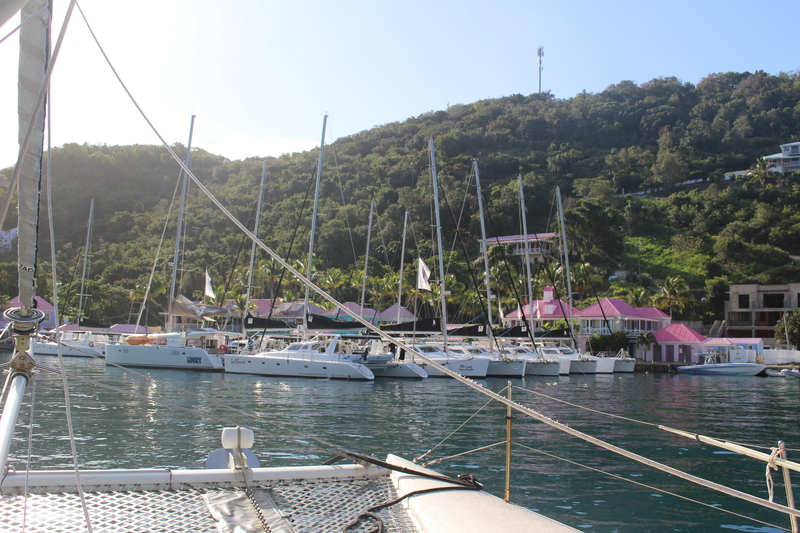 So we sailed to Francis Bay on St John, and then the next day moved on to Lameshure Bay (again), where we arrived about ten minutes before Tahawus. 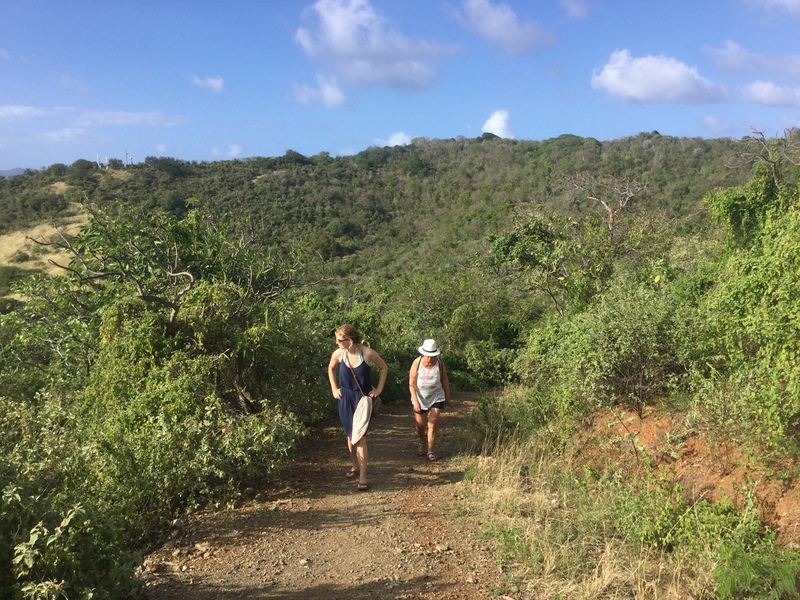 We just had a delightful time together, drinking too much wine, enjoying conch ceviche prepared by them (conch caught by the boys), and a key lime pie we made in honor of Veronica’s 21st birthday. I think we will stay here tomorrow, and doing nothing. 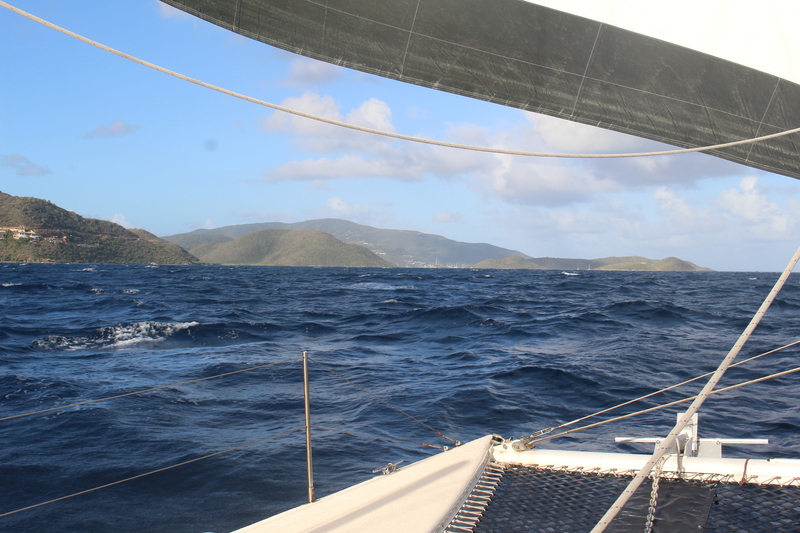 Then probably sail to the Puerto Rican island of Culebra…on our way to the Bahamas. St Maarten bridge out of the lagoon. Motoring into the gale to Coral Bay did most of the crew in. 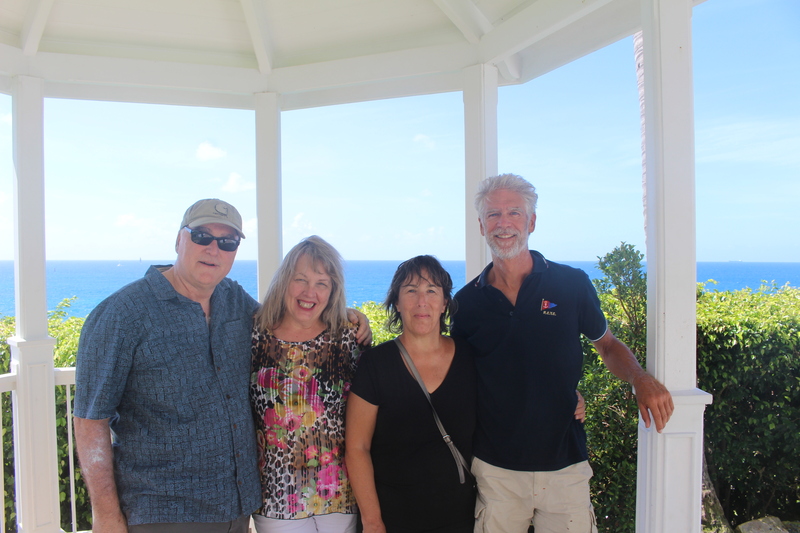 With Steve and Donna at the hotel in St Thomas.